The Lewis and Clark expedition was the first American adventure to explore the western part of the USA in 1804. Their exploration is an American legacy which is celebrated by many American citizens. The expedition is thought of so highly that in 1911 president Taft named these magnificent caves in Jefferson after Lewis and Clark because their expedition passed through the area. However, they themselves did not discover the caves. Native American’s were thought to have explored the caves and later on in 1882 two people found them but did not share their discovery widely. The caverns were properly explored in 1892 when two ranchers were out hunting. The men saw steam in the distance. They were extremely cold and thought it would be a camp fire so trekked towards the smoke. On their arrival they did not see a fire or any people but saw the cave breathing. The reason for this is because caves maintain a constant air temperature annually so in the winter just like when we breath when it’s cold out, steam leaves the cave. 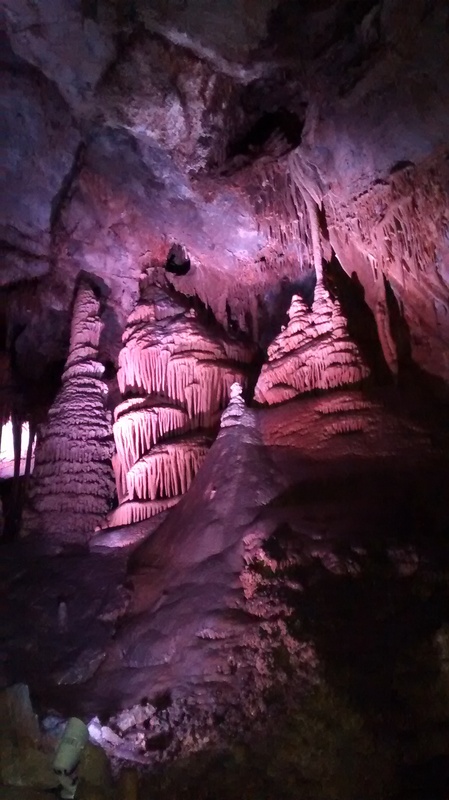 I can’t imagine what would have been going through their minds when they saw this mysterious phenomena but they were not deterred – the caverns were studied and tours were set up, enabling us to visit them today. They are a magnificent site. 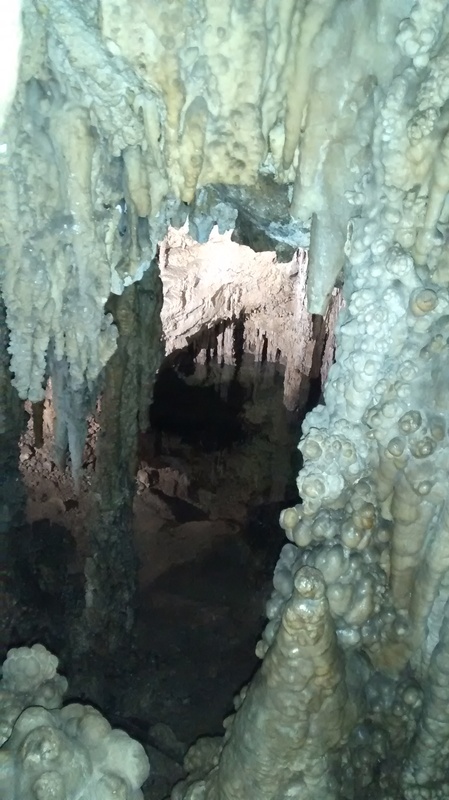 The caves are said to be living, as water seeps through them and they are constantly growing with new crystals forming. The caves have been modified with steps so people can access them. The tour guide was great, and very informative. It made me laugh how American her spiel was, pointing out various structures and comparing them to food such as: recess peanut butter cups, popcorn, chocolate fountains and ice-cream flavours for the different coloured minerals. This was a great way to interact with everyone even if it did make us hungry. 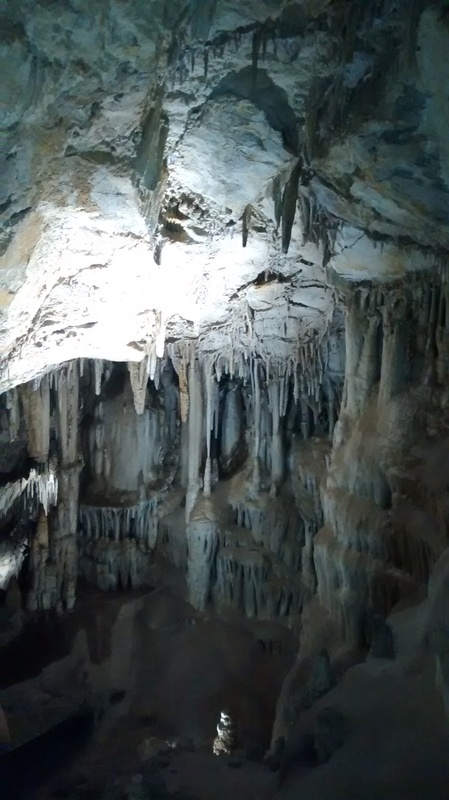 I would definitely recommend the caves to anyone with a spare couple of hours in the area. It was 40 degrees down there so a jumper would be a good shout and trainers as it was hard to walk in certain areas.